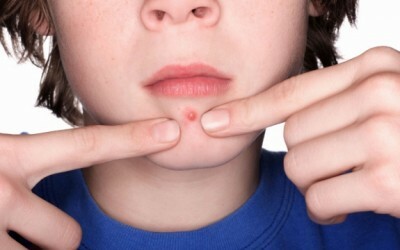 Acne is an embarrassing and painful skin condition that affects over 80% of individuals, both young and old. There are countless over the counter solutions that claim to kill the acne-causing bacteria and help create a smooth, flawless complexion. But many of these treatments are harsh chemicals, not to mention very expensive. Fortunately, there are several natural acne remedies you can put together in your own kitchen. There are numerous causes of acne; you may suffer from acne when oils produced by your skin become trapped inside the pores, or it could be caused by bacteria. Either way, we do know that things like stress, a poor diet, make-up and cosmetics, hormone fluctuations, dietary deficiencies, and poor hygiene can all cause acne to flare-up and get worse. Most acne treatments rely on one or more methodologies to eliminate the pimples and blackheads. They may work to reduce oil production, or to unclog pores, or to eliminate acne-producing bacteria. But some natural acne treatments also work from the inside out. Here are 6 natural acne remedies to consider utilizing or combining with other solutions. 1. Hydrate – If you aren’t drinking enough water, your skin will tell the story. Aim to get at least two to three liters of water each day. Water helps your largest organ – the skin – to eliminate toxins, aids in balancing hormones, improves circulation to the skin, aids the digestive system, and much more. 2. Increase Vitamin A Intake – Responsible for repairing skin cells and forming new skin, vitamin A is crucial for overall skin health. The vitamin is known for reducing the production of sebum and offers antioxidant properties, which helps to prevent acne formation by ridding the skin of acne-producing bacteria. You can find vitamin A naturally in carrots, and green and yellow vegetables. It can also be taken as a supplement, which may be required for severe acne. Be aware: large doses may come with side effects. 3. Increase Zinc Intake – Not only is zinc great for your immune health, but being deficient in this important mineral can cause acne breakouts. Find it naturally in pumpkin seeds, dark chocolate, sea food, nuts, and meats. 4. Apply Thyme tea as an Astringent – Thyme has great drying properties, making it a perfect toner for oily skin. After washing your face thoroughly, apply a thyme tea using a cotton ball. Apple thyme regularly and you’ll see less oil production overtime. 5. Steam with Lemon – Steam helps open up clogged pores and flush out impurities. Lemon and its natural astringent properties, is great to add to an acne facial steam. 6. Apple Cider Vinegar – Apple cider vinegar can be used to treat a variety of conditions, including acne. When you have a pesky pimple that you want to heal as quickly as possible, spot treat it with apple cider vinegar. Simply apply a little ACV with a Q-tip. Alternately, an ACV/water mix can be used as a toner on the skin. A proper diet is crucial in skin health. If you find your acne to simply be untreatable with topical solutions, check your food intake. Highly processed foods and dairy products are common acne culprits. Your skin needs you to keep it clean from the outside, but all the soaps and facials in the world won’t help if you aren’t healing it from the inside too. If none of the above tips help, trying using turmeric for acne and continue checking back for updates on more natural acne remedies. Aloe Vera is the best natural product for acne treatment. Thyme tea really works. i tried it once and after a week of using it i get lesser oily face. Turmeric is fantastic for use in acne masks – I like all of the ingredients in this page and honey. They really do work!